This week we launched our report for the Joseph Rowntree Foundation on a unique poll of workers in low income households. We interviewed 5,064 employees who live in households below the Minimum Income Standard (MIS). Due to this sample size, we’re able to analyse a wide range of demographic information including the key low pay sectors of retail, care and hospitality & catering. We’ve covered just some of the more pertinent findings in our report, some of which are explored below. One of the core aims of this research was to ask workers in low income households what employer policies they receive and what they consider most important. 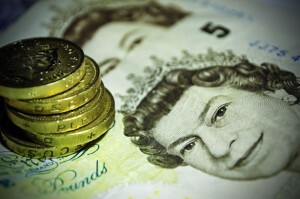 The living wage comes top as the most important policy an employer can provide. However, our findings hint to a misunderstanding of the living wage. 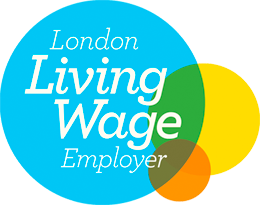 27% of low income employees who told us they earn £7.84 or less also told us their employer provides the living wage as a minimum. This suggests that – since before the Chancellor’s announcement last week and the debate that arose about what a ‘living wage’ really is – there is considerable confusion about the term among those on low pay. 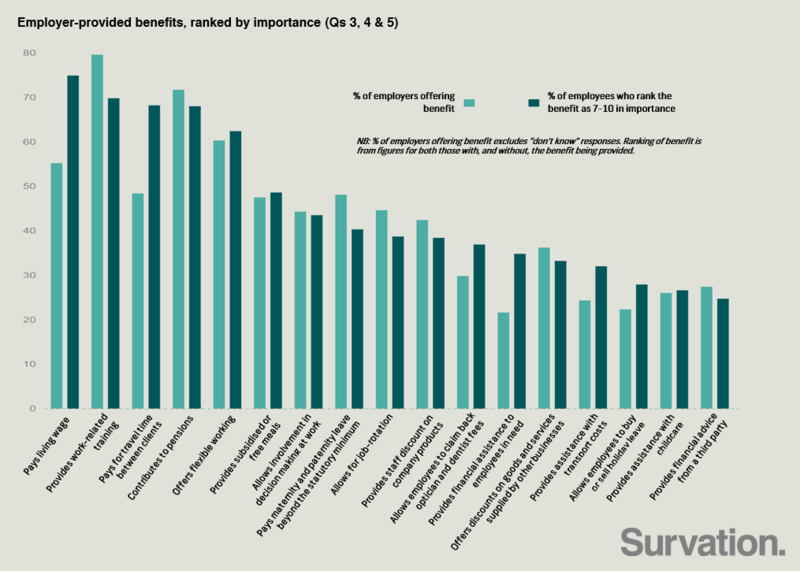 Aside from pay, three of the other employer benefits that rate most highly among low income employees are in-work training (70% rating it between 7 and 10 on a scale of 0-10), contribution to pensions (68%) and offering flexible working (62%). Despite it being rated the most important benefit after pay, nearly one in five (19%) low income employees told us their employer does not provide in-work training. 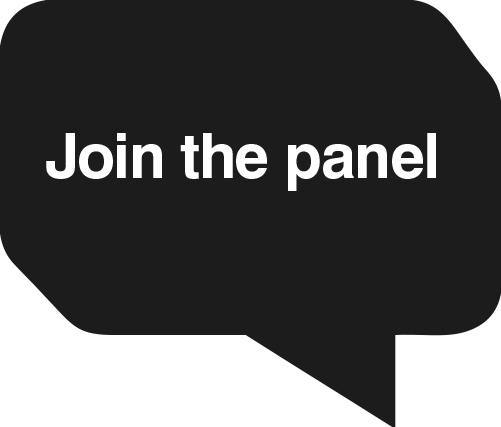 A further 7% told us they don’t know if their employer provides training or not. 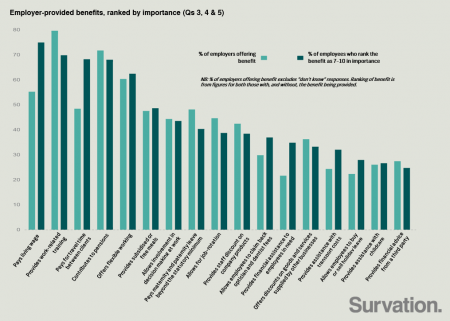 Happily, given that it is highly rated by low income employees, 78% of the 31% who have requested flexible working had their request approved. Over a third (35%) told us their employer does not offer flexible working. For those who work in the care sector, we asked them about paying for travel time between clients which revealed one of the biggest gaps between provision and importance. While 68% rated travel time pay as between 7 and 10 on a 0-10 scale, only 45% say their employer provides this. Care workers are also less likely to be paid for their breaks than low income employees – with 36% saying these are paid compared to 46% across all sectors. Around two thirds of low income employees told us they are either satisfied or very satisfied with their relationship with their immediate supervisor, line manager or boss. This satisfaction correlates with regularity of meetings as 83% of those who meet with their supervisor, manager or boss at least once a month say they are satisfied with their relationship. Another positive finding is that 87% of low income employees report having either full or moderate control over their everyday tasks. Some negative sides to life at work were also suggested by the findings. Almost half (48%) of low income employees say they feel under excessive pressure at least once a week. 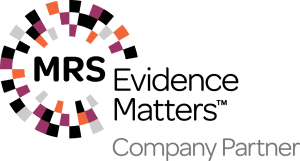 This compares to 38% among employees as a whole according to the Chartered Institute for Personnel and Development (CIPD)’s Employee Outlook Spring 2015. Perhaps unsurprisingly given these levels of pressure, just over half (51%) of low income employees who recently felt too unwell to work went to work anyway. The main reason given was not wanting to let the people or organisation down (41%) followed by loss of pay (27%). Low income hospitality workers are even more likely to go into work despite feeling too unwell at 56%, and are more likely to cite loss of pay as the top reason (34%). 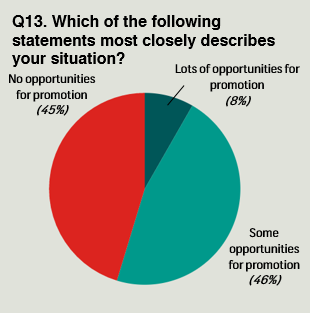 Almost half (45%) of low income employees told us there are no opportunities for promotion with their current employer. When we asked these employees if they would apply for a promotion with their current employer, 25% said they would, 31% said they wouldn’t and the remainder said they might apply. The reasons low income employees cited for not applying for a promotion suggest that low income employees do not see their jobs as a ‘step on the career ladder’. Around three in five said they were happy in the current role while around half said they would not want the extra responsibility. Low income retail workers say there are more opportunities for promotion with their employers at 61% compared to 55% across all sectors. However, interestingly, they are more likely to say they would not apply for such a promotion – with 42% saying they would not compared to 31% across all sectors. These are just some of the findings from this extensive piece of research. In particular, the sample sizes will allow us to look at different demographic groups in detail such as gender, age and region. To read more, please see our report here. Data tables for all questions are available in two parts: part one and part two. Survation is a member of the British Polling Council and abides by its rules. For more information, please contact Katy Owen on katy.owen@survation.com or 0203 142 7642. Katy Owen was Senior Project Manager & Head of External Relations 2013- 2015, worked at CoVi and Social Tech Trust and is currently Research Team Leader at ComRes. Katy has a BA in History, Kings College London and an MSc in International Politics from SOAS, University of London.